- Usable Volume: 450 x 250 x 150 mm. With rich industry experience & knowledge, we have been able to provide the best array of Fancy Dry Fruit Box. 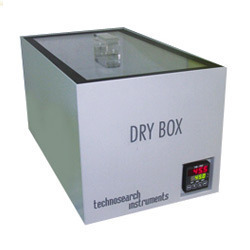 In order to keep pace with never ending demands of the customers, our company is instrumental in offering Dry Box. Our company is engaged in the manufacturing of dry box, which are known for their high efficiency, durability & workability. 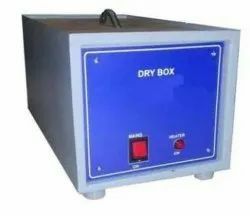 This dry box is very useful in various industries including, power plant, automobile, engineering & others. This storage device is basically used for storage of hygroscopic material, samples, Optics cells and other applications. It can be used at room temperature or up to 40 – 45 deg C. The temperature is controlled by thermostat. It is having air tight, see through Acrylic cover on the top.